Salem-Keizer won’t have to wait much longer to find out if five of its high school athletic teams will compete in a league with three Bend schools beginning this fall. After listening to eight hours of testimony from the Salem-Keizer school district and the Oregon School Activities Association on Monday, Jan. 29, justice Michael Gillette said he would produce a written decision in 10 days to two weeks. OSAA decided on Oct. 16 that McNary, South Salem, Sprague, West Salem and McKay would be placed in a league with Bend, Mountain View and Summit. Salem-Keizer then appealed the decision in November. 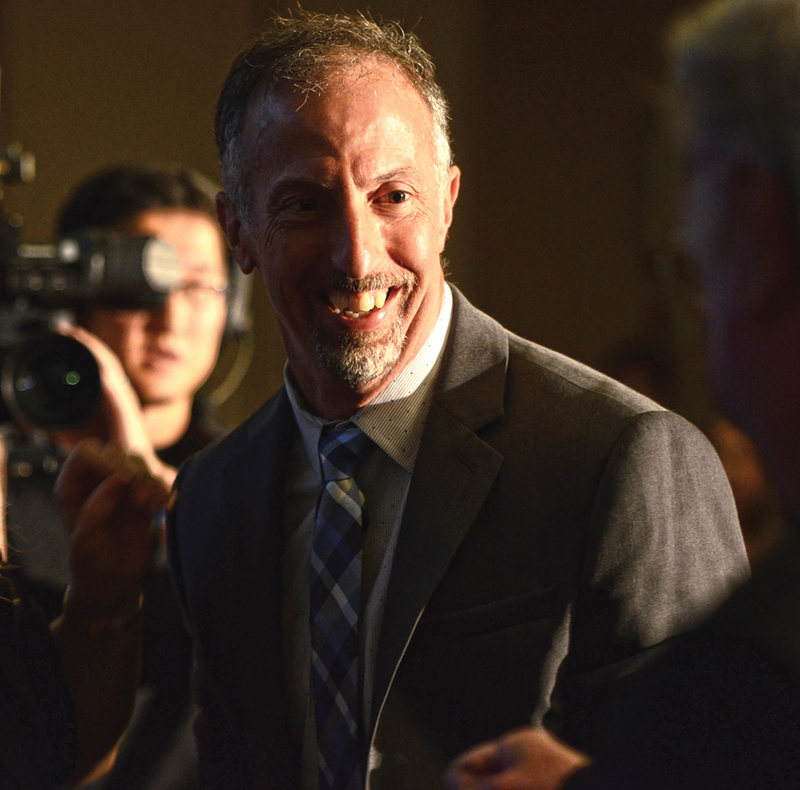 “We win or die on this case whether they followed the criteria,” said Paul Dakopolos, the school district’s lawyer, in his closing argument. Alan Bushong, executive director of CCTV and a witness for the school district, noted Jesuit’s 63 state championships over the last 11 years. Peter Weber, OSAA executive director, argued competitive balance fell under the criteria of school enrollment data. He noted that Oregon moved from a four to six-class system in 2006 due to competitive balance and that it wasn’t based on state championships but how teams do during the regular season. “Being successful varies by school and community,” Weber said. Answering questions from OSAA attorney Jonathan Radmacher, Weber testified that the Classification and Districting Committee’s first draft was released in October, 2016, a year before the executive board made its final decision, and had all six Salem-Keizer schools, including North Salem, in a league with Bend. The committee proposed 19 drafts over the year and all updates were emailed to every superintendent, athletic director and principal in the state. The drafts were also posted to the OSAA Website. “We wanted people to get the information,” said Weber, who also noted that more than 200 people from all areas of the state at both small and big schools testified in person at one of the public hearings. Salem-Keizer superintendent Christy Perry talked about the student poverty in the district and that extra travel would be another barrier for students to get a diploma. She pointed out that many student athletes struggle to pay any fees and don’t have access to private lessons. But Weber and Radmacher noted that schools with free and reduced lunch had the opportunity to move down a classification. North Salem did. McKay did not. Salem-Keizer said that each of its schools would make around 58 trips to Bend each year. Using charter buses, due to the bus driver shortage, that would cost the district $2,000 per trip. The district is also estimating $14,280 per school for substitute teachers while coaches who also teach miss class time to travel with their teams. To lessen the amount of trips, Weber showed a sample of creative scheduling the OSAA received from Bend athletic director Dave Williams. Under the example, sports like cross country, track and tennis that have a state qualifying meet at the end of the season wouldn’t play a league schedule. Williams estimated a total of 136 trips from Bend to Salem-Keizer for all three Bend schools. 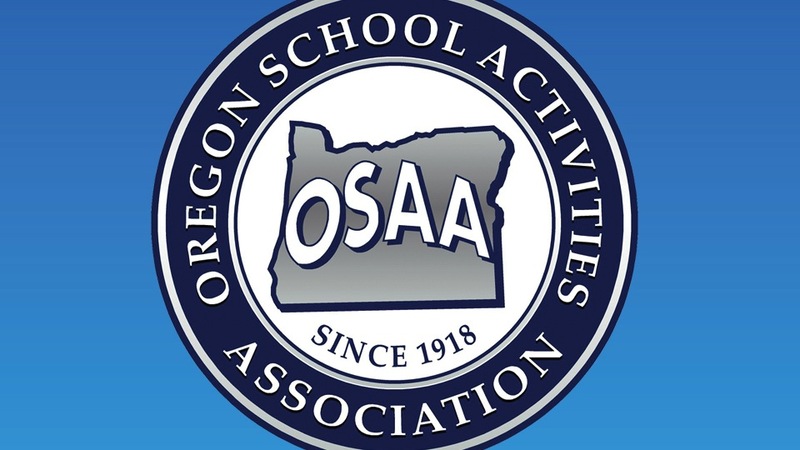 OSAA said it took a 30,000 foot view with classification, doing what is best for the entire state. According to Dan Smith, who runs oregonprepsports.net, 10 leagues across the state would travel more than Salem-Keizer and the travel time for the entire state was less than a minute increase on an average trip of 1:15. 36 to 1:16:32 from the last four-year block. Curt Schelley, superintendent of Grant school district in John Day and chair of the classification and districting committee, said his teams travel six hours one-way for league games and were able to maintain a balance of academics and athletics. Dr. Julie Bingham, a clinical psychologist in Salem, whose daughters play soccer and run track at South Salem, spoke of the dangers of traveling to Bend on the Santiam Pass. In a letter she received from the Oregon Department of Transportation, she noted that there were 1,419 crashes on the pass from 2011-2016 and 33 fatalities. Bingham also pointed to a letter from the Medford school district sent to the OSAA about the dangers of traveling to Bend but a graph showed only 926 incidents between 2013-17 and one fatality. She noted the driver of a tanker truck who crashed and died on the Santiam Pass in December. Schelley, who coached basketball at Summit, countered by saying he valued the trips over the Santiam Pass to Salem more than trips south over highway 97 or through Mt. Hood because they were closer and the roads were better maintained. Salem-Keizer also asked why OSAA chose a six-class system when the committee previously stated that a five-class system would have less traveling. Schelley said while a five-class system did decrease travel for some schools, it increased it for others. When athletic directors from across the state met for a conference in Sun River, directors from 1A to 5A schools overwhelming wanted a six-class system while those in 6A chose a five-class system. Whoever follows Joe Egli as Keizer’s First Citizen will have a high bar to clear. Egli’s long list of community involvement includes the Keizer Chamber of Commerce, Rotary Club of Keizer, Keizer Iris Festival, McNary High School, the City of Keizer and the Salem-Keizer Education Foundation (SKEF). Egli was honored as First Citizen on Saturday, Jan. 20, at an awards banquet sponsored by the Keizer Chamber and Bonaventure Senior Living. He was one of four annual award winners that included Merchant of the Year Larry Jackson, Service to Education Award winner Jason Flores and Matt Lawyer, who was selected for the President’s Award given out by the departing president of the Chamber of Commerce. All the winners were presented clocks provided by Boucher’s Jewelers representing the time they’ve given back to the community. Egli has served on most of the committees formed by the Keizer Chamber of Commerce, is a former Keizer city councilor, a longtime, active Rotarian who leads that organization’s annual Golden Ticket fundraiser and currently serves as a board member for SKEF. Recently, Egli flew to California to pick up and drive back a mobile library for SKEF. Egli thanked friends and family in accepting the award and recalled visiting Keizer before it was a city to eat at Fortune Cookie, a longtime restaurant serving Asian fare before it burned to the ground. “I always thought is was a special thing and only found out later that my parents were Diner’s Club members and they offered 2-for-1,” Egli said. “Keizer isn’t about a city or council or chamber, it’s about people,” Egli said. Egli is an agent with R. Bauer Insurance. Jackson, a third-generation owner of Jackson’s Body Shop, was introduced by Bob Shackelford, last year’s recipient of the Merchant of the Year Award. Jackson is a seemingly constant presence at volunteer efforts in Keizer and Salem in addition to being a popular business owner, Shackelford said. Jackson frequently assists with events planned by the Chamber’s Keizer Network of Women and Men of Action in Keizer as well as the Keizer Iris Festival and SKEF’s Crystal Apple Awards. “I’m so blessed to be here. When you grow up in a city like Keizer, what else do you do? You volunteer, you show up when asked and when you don’t get asked,” said Jackson as he accepted the award. Jason Flores, a longtime youth sports coach, booster and sponsor of local youth was honored with the Service to Education Award. It was presented by the daughters of Larry Smith, last year’s honoree who passed away two months after receiving it. Flores, through his personal time and business sponsorships as owner of Celtic Homes, has had a part in maintaining Keizer Little League Park, installing the turf at McNary High School, refurbishing the football/soccer scoreboard and led the effort to get new dugouts put in on the Celtic softball fields. “I really don’t even understand why I’m here. I give all grace and glory to God and I’m just here to serve,” said Flores in accepting the award. “He asks, ‘How can we come together and make it better for everyone?’ He’s one of the first to show up to plant trees at a park and one of the last to leave after a long night serving community dinners at St. Edward Catholic Church,” said Bauer. Lawyer is currently active on three of the city’s advisory committees, parks, planning and Claggett Creek Watershed Council, and, like Jackson, can be spotted at most other volunteer efforts in the two-city area. “He’s setting an example for his family and for all of us to be proud of,” said Bauer. Lawyer was visibly surprised by the honor and his voice caught in his throat as he thanked his family for their support. “I have so many mentors to thank, my adopted mom, Linda Baker, Mark Caillier, Bob Schackelford, Nigel Guissinger so many of you out there have made this possible. It’s about being the guy trying to help out,” Lawyer said. Lawyer is a program coordinator at the Oregon Department of Aviation.